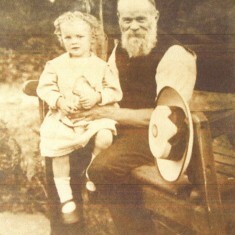 Michael Doggett's great-grandfather, James Cox Doggett, aged 58, and Michael's father, James Sidney Doggett, aged 4, in 1912. 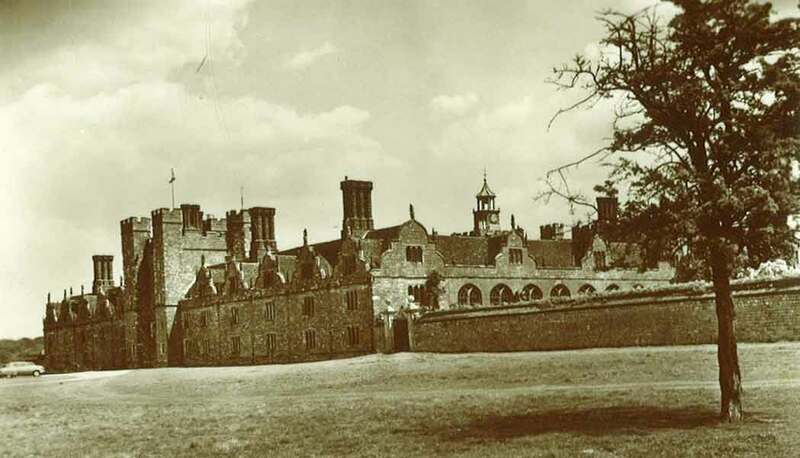 Michael’s family firm of heating and plumbing, did work on Knole and Knole Estate for 40 years, including re-designing and installing the South Wing’s heating system, which had previously worked with a pre-war, ‘terrifying’ oil-burning boiler. During his years at Knole, Michael came to know Lionel Sackville-West, Lord Sackville, and remembers how much he loved his trees in Knole Park. Michael also recalls how Lord Sackville helped ease the family firm’s finances at a difficult time, as well as some of his fondest memories of Knole Estate Agent, Hugh Sackville-West. "Re-designing plumbing and heating system for South Wing"
The South Wing, had heating in it, been put in before the war by Rosser & Russell. We had all the drawings in the office, I don’t know where they are now. But it was oil, but it was pre-war and it was quite crude, and it was terrifying. Because the boilers, two large boilers were not self-igniting, they weren’t automatic. So to light them you had to turn a pump on, and open valves so the oil went in there, and throw a burning oily rag into the boiler to ignite it. It went off with a terrific bang and then it carried on. It was all a bit scary. Well, at that time, there was chap called Harry, His Lordship’s chauffeur and it was his job for some reason, to look after the boiler. I think it was the ’62, ’63 winter, which was very severe. Somehow or other that didn’t get done. He didn’t light the boiler and the whole lot froze; there were 40 or 50 radiators split. It didn’t do much damage to the water, because it all froze, but it really damaged the heating system. So before His Lordship could move into there, something had to be done about that. So luckily they called on me to look and to decide what to do. So of course the boiler house was pre-war; that had to be completely re-designed, new boilers and cylinders and pumps. It was amazing really, they didn’t go out to tender. They had complete trust in what we did; and of course, that was a terrific responsibility. I was quite young and took that responsibility very seriously. So how old would you be, do you know? I was 24 in 1960. So I’d be about 26, 27 years old. Quite a lot of knowledge, but experience was fairly limited. 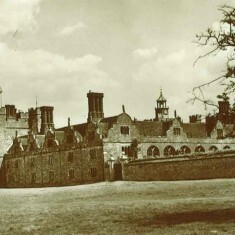 We’d worked in small houses; Knole was completely different. Because the drawings weren’t that good, and they changed rooms for His Lordship, various things were moved about. I spent nearly six months up here for an hour or two every day, finding out what was there, doing the drawing and noting all the pipes and everything. Eventually I got the system designed and it took about a year, I think it was 1967 that the boilers went in. His Lordship and his family all moved in. "Lord Lionel's love of Knole Park trees"
Most of his time was spent on the trees. He was very, very interested in the park trees. He had a little plantation of trees that he looked after, nobody else, in all weathers. 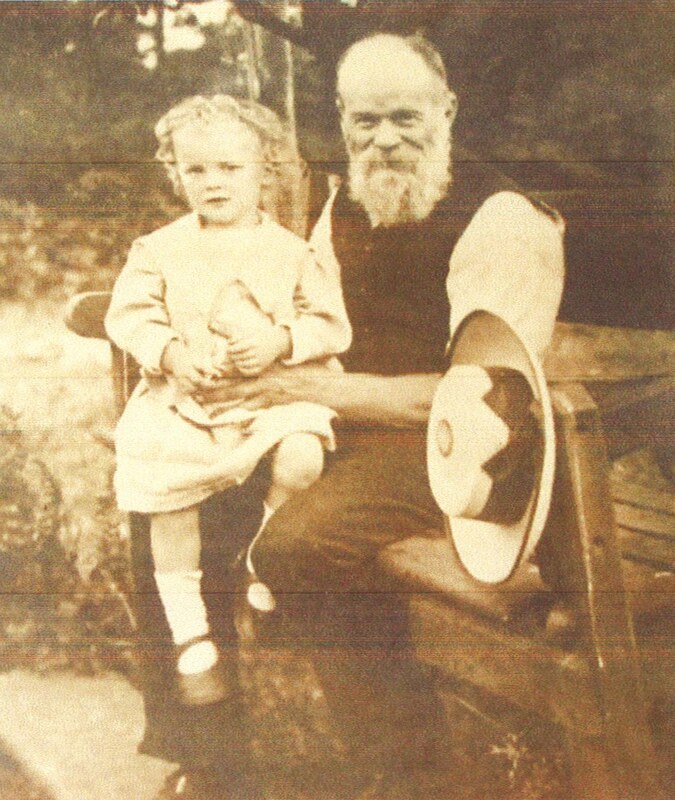 Had his own pruners. He looked after those trees. One day, I don’t know why, we were sitting in his library, he was busy, I expect I’d taken up some invoices or something, and he was writing me a cheque. He was reading a book. And he said, “I expect you’ve been in here before Michael?” I said, “I’m afraid I’ve looked at one or two of your books, they’re lovely.” And I had, there was one there that fascinated me. There were great big thick volumes: The Voyages of Captain Cook – I expect they’re still there. Wonderful books. He said, “You haven’t seen this one.” And he was sitting there, reading quite a small book. He handed it to me and it was called ‘Trees’ – it was jolly old and a job to read. On lots of pages in the margins, there were notes, lots of hand-written notes in the margin – he said, “Who do you think wrote those notes?” And I said, “Well I don’t know.” Oliver Cromwell, who thought Knole was a good resource for timber, both for building houses and ships. And Knole was thought to be quite important. Oliver Cromwell knew quite a lot about trees. And he had this book. And his Lordship still used the book all the time. "Working with Lord Lionel and Mr Hugh Sackville-West"
And I remember that, that summer, we looked at them all in the house and every estate house we looked at all the cold water tanks and those that I thought had only got a year or something to go, we replaced. He was like that; he was always thinking of the good of the estate, so he was loved by everybody. This page was added by Veronica Walker-Smith on 08/09/2016.